Do you want to learn an effective martial art? The biggest problem you will face learning Martial Arts, is never knowing if what you learn is effective or if it is ever going to work when you actually need it. At Submission Martial Arts you will learn skills that are instantly effective! We've eliminated almost all the usual rubbish that is associated with Martial Arts Training! You won't learn pointless Katas or ritualised dances, you won't have to spend hours doing push-ups or sit-ups, you won't spend half the class doing warm-ups and you definitely won't have to learn a foreign language! What you will do is learn skills that will help you feel more confident and in control of your situation!! Brazilian Jiu Jitsu is a Grappling based Art. It’s core focus uses major joint manipulation and chokes to render an opponent broken or unconscious. At Submission, you will be introduced to a training method of dealing with an attacker on the ground, that will allow you to take full control and finish them off, even though they maybe bigger and stronger. Recognising that each person is unique in their own body type the techniques taught within BJJ can be tweaked and applied by almost anyone. The way we acknowledge that we cannot escape a techniques is by tapping / submitting, this tells them that “you got me”. This is the safest way to train and develop your game. The Mixed Martial Arts (MMA) phenomenon has already changed the landscape of the martial arts industry. We are really only seeing the first set of ripples rolling into shore; the huge tsunami is still on its way and there is simply no stopping it. Like it or not, MMA is profoundly affecting the way martial arts and self defence classes are structured and delivered. With its cutting edge blend of stand-up striking, clinch work, takedowns and ground work, it is leaving other arts floundering. Technical ability begins with analytical thinking. Cultivate the habit of exactitude; for precise thinking is the prelude to precise action. The coaches from Submission work to this ethos, having come from a blend of Freestyle and Traditional Martial Arts training, they have fully immersed themselves into both their BJJ and MMA training and coaching. They bring with them a depth of experience, an understanding of delivering excellence and a strong work ethic. Glen has 30+ years of training and close to 25 years teaching experience as a Martial Artist, with extensive involvement in BJJ since 2001. 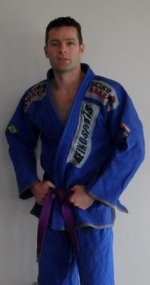 Glen’s focus was Karate with elements of kickboxing and Jiu Jitsu, however a seminar with Will / Machado Australasia head Coach John Will in 2001 was a turning point in not only his own training, but his thought processes behind teaching and delivering classes. Glens approach to both training and teaching is one of empowerment and development; he strongly believes his job is to shape them into being both a better martial artist by delivering quality tuition and a better person by applying the same logic to training in their personal life. 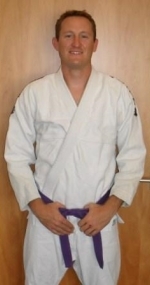 Early 2007 saw Glen move away from the traditional elements of Martial Arts and focus on his core passion of BJJ with several of his top students, this group soon flourished and developed into what is now known as Submission Martial Arts. Leaving Auckland at the end of 2007, Glen established the Porirua academy of Submission Martial Arts early 2008 and now works closely with Will / Machado North Island head Instructor Geoff Grant. Outside of teaching BJJ Glen holds down a fulltime job with MWH Global as the Asia Pacific Recruitment manager and is married, with two young boys who keep him very busy. Mark first started training in Martial Arts in 1989. He has trained in many styles including Traditional & Freestyle Karate, Judo and Traditional Ju Jitsu. He first started grappling in England in 1997. 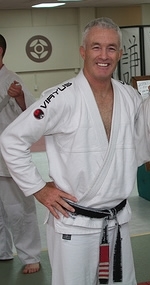 Mark moved to New Zealand in 2000, and not long after his arrival started training under Instructor Glen Tarrant. Mark has been training in BJJ since 2001 and was introduced to John Will and the Will Machado organisation that same year. He received his Black belt in BJJ from John Will in 2017. Freestyle Karate from 2001-2005, Black belt under Glen Tarrent. 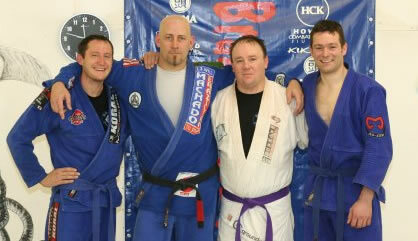 Will/Machado Brizialan Jiu Jitsu from 2003 - now, Black belt under John Will.